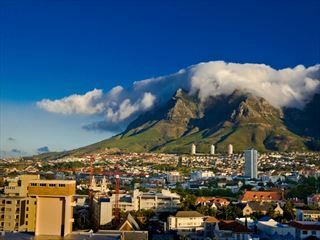 Combining jaw-dropping national parks, authentic local culture, bustling cities and impressive natural sights, the Wildlife & Warriors tour really holds all the best of South Africa. You’ll see the famous Blyde River Canyon, go on game drives in the Kruger National Park and explore Durban. 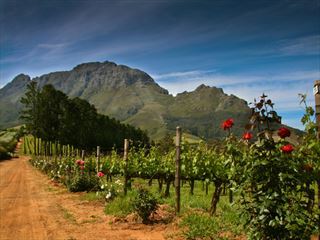 On your first day you’ll depart from Johannesburg and travel along the pretty Panorama Route to Mpumalanga. 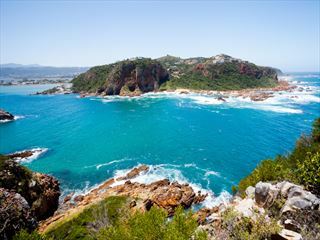 On your journey you’ll see famous sights such as the Blyde River Canyon, Bourke’s Luck Potholes and the Three Rondavels. You’ll arrive at your hotel in the late evening – staying overnight at Perry’s Bridge Hollow (standard room) or similar. 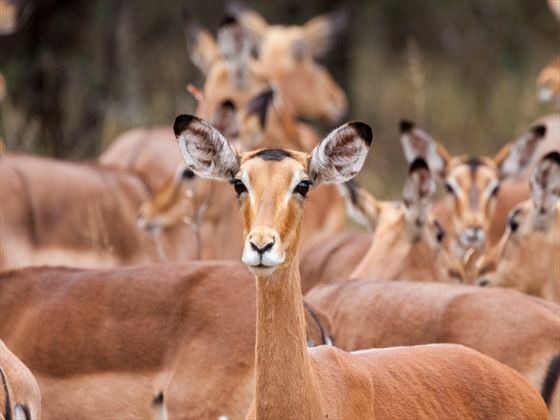 Depart early in the morning for an open vehicle safari taking you into the heart of Kruger National Park. This enormous reserve is one of the most impressive national parks in the world and home to Africa’s incredible creatures. Enjoy a leisurely evening back at your hotel. 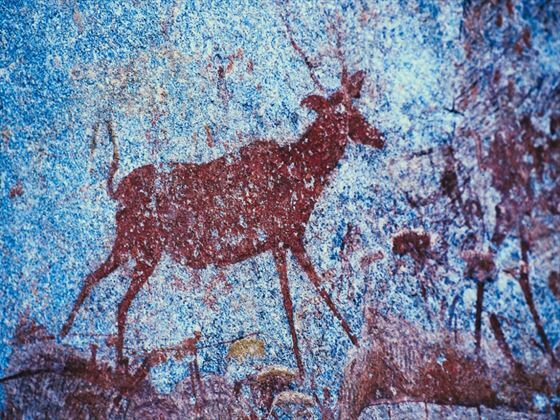 After breakfast you head to the Royal Kingdom of Swaziland to enjoy a showcase of authentic Swazi culture, then lunch at the Matsamo Cultural Village. Next stop is the Ngwenya Glass Works to see skilled craftsmen creating incredible works and sculptures in molten glass. After taking a look round the Mbabane craft markets you’ll stay at Royal Swazi Sun (standard room) or similar. Your morning will be spent at the Swazi Candle Factory before heading into KwaZulu Natal, back in South Africa. 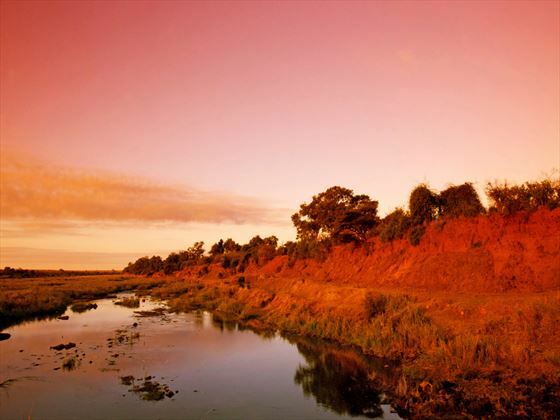 Here you’ll enjoy an afternoon drive with views of Lake Jozini. 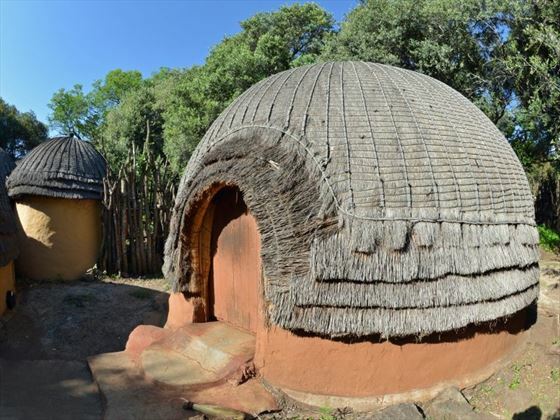 Visit a Zulu homestead to get a great insight into local life before heading to your hotel from dinner. You’ll be staying at Ghost Mountain Inn (standard room) or similar. Today you’ll head over to the Hluhluwe-Umfolozi Game Reserve for an afternoon of fantastic game viewing. End the day with dinner back at the hotel. Your journey continues along the Elephant Coast of KwaZulu Natal to the iSimangaliso Wetland Park, which is a World Heritage Site. 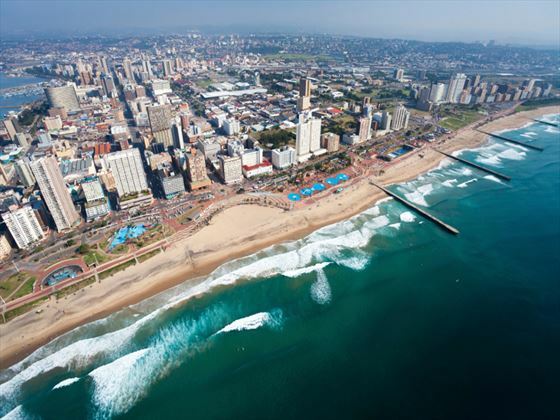 After taking the time to explore here you’ll head on to Durban to arrive at your hotel in the afternoon. You’ll be staying overnight at Protea Hotel Edward (standard room) or similar. This morning you’ll enjoy a short city tour of Durban which will end with you being dropped off at King Shaka International Airport or back at your hotel.